Our bespoke recruitment service has been designed so that you can capitalise on your time as we take care of your requirements. 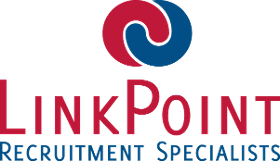 LinkPoint Resources started from a desire to add real value to our clients’ businesses, appreciating that candidates and clients alike have specific needs and therefore should be treated as individuals. Our current clients are in the Private and Public sectors, including Finance, Legal, NHS and Pharmaceutical to name a few. We not only deliver the right... Read more calibre of candidates at short notice, but provide you with dedicated support throughout the recruitment process. Our consultants are highly skilled with significant experience in their field. Their expert knowledge is invaluable, enabling them to understand thoroughly the exact skills and requirements that each role demands. Close working relationships help us to look beyond individual appointments. LinkPoint consultants can provide an important insight into the current supply and demand in the jobs market. This supports companies in obtaining a competitive advantage by staying ahead of hiring trends. There is no substitute for understanding the market.